Variety reports Universal has announced a release date for a live-action Monster High movie. It will open opposite Ben Affleck's Live By Night on October 7, 2016. No talent or director has yet been attached to the project, but its producers include Josh Schwartz (Gossip Girl, The Carrie Diaries), Stephanie Savage (The O.C., Endless Love), Craig Zadan and Neil Meron (Footloose, Drop Dead Diva). Monster High is a hot property, the second-best selling dolls in the world (behind Barbie, naturally). But it's one that also has had its share of controversy. The dolls' look -- which features a big bobble head and very lean limbs, and narrow waist -- was attacked by some mommy bloggers who felt the fashion dolls send a dangerous message to little girls. 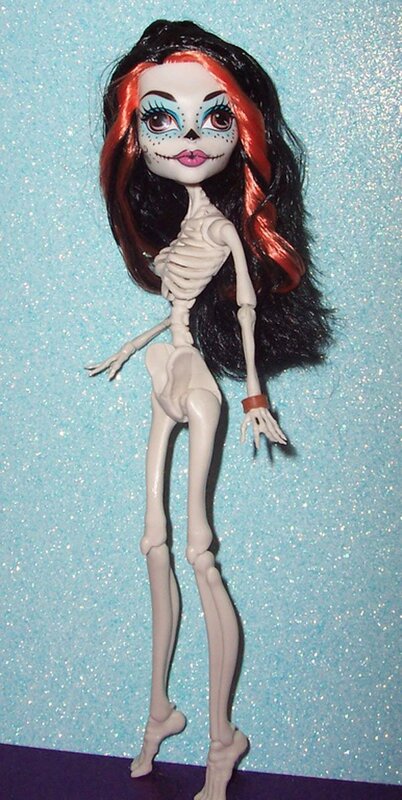 The Day of the Dead doll Skelita Calaveras, especially, drew ire from those who felt she'd promote anorexia.